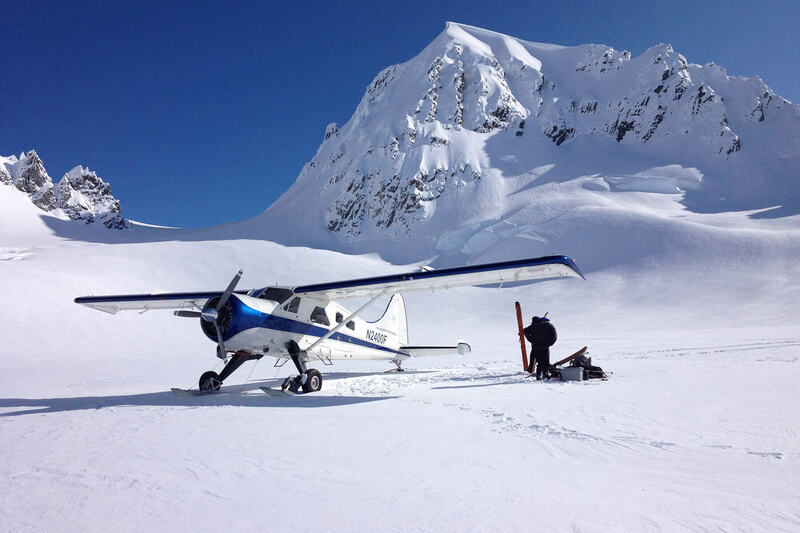 With our Dehavilland Beaver ski-plane we specialize in drop offs and pickups for mountain climbers and skiers. 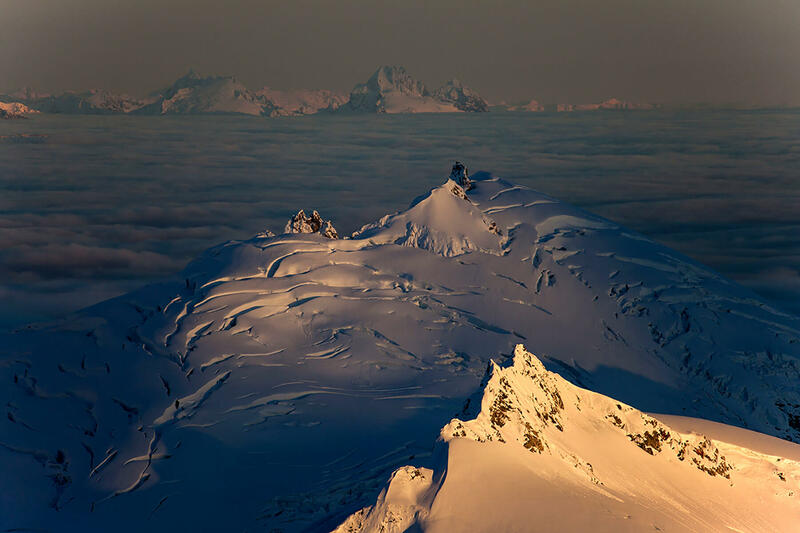 I can service skiing and climbing expeditions in the Chilkat mountains, which are the Haines area Peaks. The Juneau Ice-Field, the Fairweather and St. Elias Ranges. 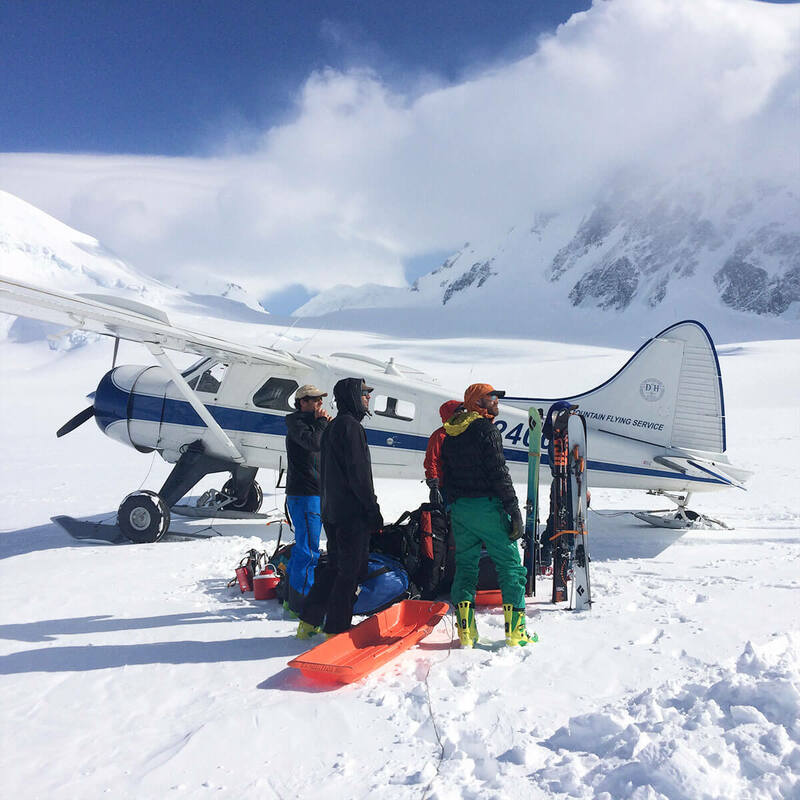 The terrain around Haines happens to be some of the best for big mountain skiing. We have it - from mild to wild. Snow camping and traversing - climbing - skiing, and filming. I have flown here on skis for more than 20 years with various aircraft, now we have a DHC-2 Beaver which has more room and payload. Besides being really a practical choice it is really enjoyable to fly, and…. fun for you to fly in as well. Some Mountain/Glacier experience, a guide can be hired. A Sat phone is a must! Iridium is best. Goes without saying but, maps, GPS'S, access to weather information. I have supported climbers and skiers since the mid 1990's. Among many highlights are groups on Mt Fairweather, including the Carpe' Ridge, Mt Lituya and the classic Grand Plateau glacier. Mt Logan we land in position for the Kings Trench route. Mt Cook (see Outsides Mags Parting shot in Nov 2005), Mt Vancouver South Buttress, Mt Hubbard, 1st Assent of the North peak on Mt Foresta and many others. The most impressive I think was a few years ago I had 3 women and 1 guy from Canada traverse from Haines to Cordova in 55 days, climbing up the East Ridge on Logan and down the West Kings Trench. Sometimes the weather is great and everybody lucks out, other times the entire month or more is bad. So you have to be ready for a long bad stretch of weather. In 2008 we supported James Coleridge and Len Vanderstar from www.summitsofcanada.ca on Mt Logan. 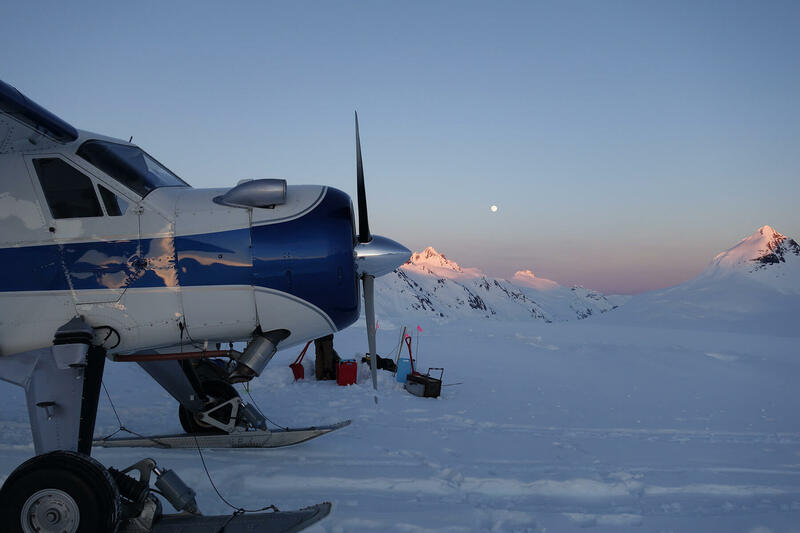 They had 40 plus days worth of gear, skis, sleds, satellite up links and measuring equipment to measure the height of Mt Logan. And the Bush Hawk was able to take them in and out in one load each way. The Bush Hawk is like having a plane and a half for the bulky loads. When conditions are right and the climbing team is on the smaller side I have taken 3 climbers and gear to various locations. 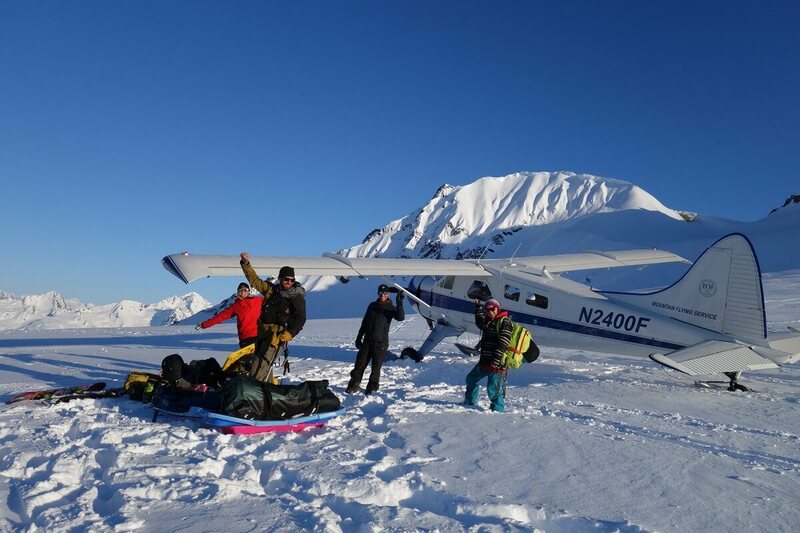 A week later we took Paul Schweizer and Simon Yates for a landing at the 8,500 foot level on Mt. Vancouver. They made the first Alpine Style accent of the SW ridge. Read the trip Report. We thought that they were going to be the first ever to climb via the SW ridge but later learned that in 1968 it was actually siege climbed by a Japanese expedition from the Canadian side. They had a 10 member team, 3 of whom died in the process and only 2 of whom reached the summit after 13 days on the mountain. 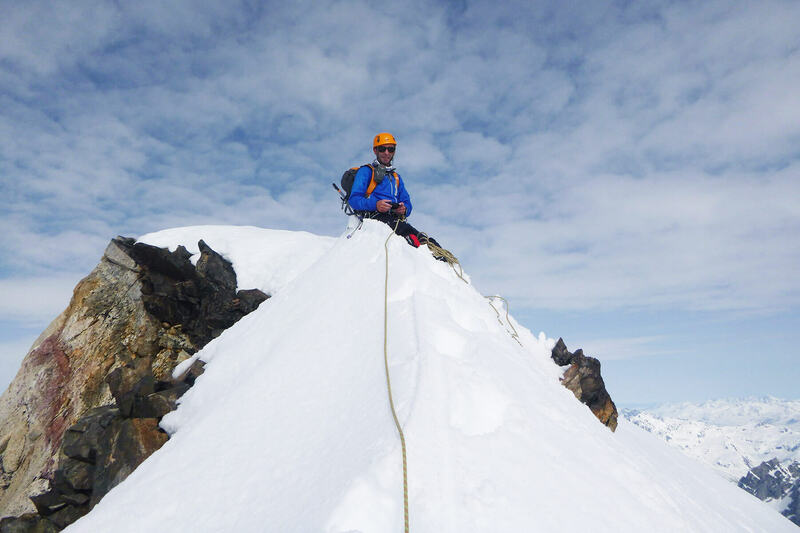 We also took the Summits of Canada team James Coleridge and Len Vanderstar to Mt Fairweather for an ascent of the north route. Which can be followed at www.summitsofcanada.ca as well as their climb of Mt. Logan in 2008.